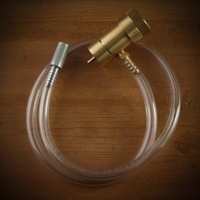 Using compressed oxygen is one of the best ways to aerate wort. It's quick, easy, and limits the risk of contamination. This kit is everything you need except the oxygen tank itself. 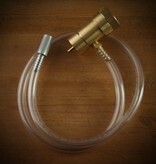 The brass covered oxygen regulator fits most commonly available oxygen tanks. And the ½ micron Diffusion Stone is ideal for quick, efficient aeration.